Dementia is a difficult diagnosis to deal with. Whether it’s your family member, a close friend, or a patient, it’s a painful and challenging disease to cope with. While watching someone that you care about struggle with dementia is difficult, it’s crucial that you understand how to best communicate with them. Be it for medical or emotional purposes, communication is going to differ a bit when you have to factor mental well-being into it. 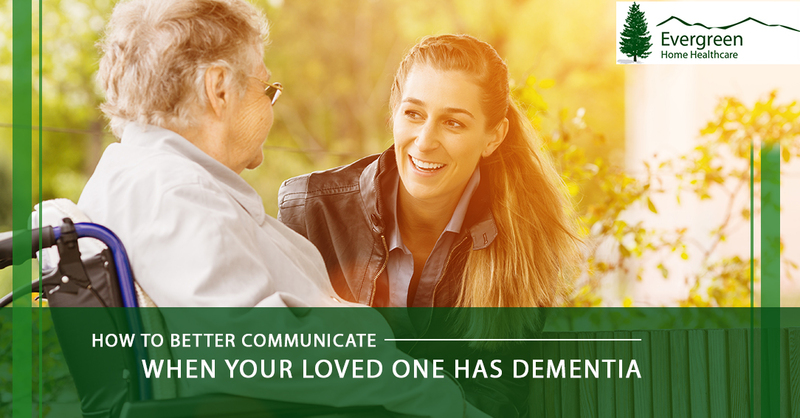 In today’s blog, we are going to touch on a few of the ways that you can improve your communication methods with individuals who are struggling with dementia. We hope that the information that we provide you with will help. Distractions are always something that can make proper communication all the more difficult. When talking with someone that is suffering from dementia, there are already countless things that are running through their mind and can make focusing on the conversation difficult. For that reason, it’s always good to communicate in quiet areas where distractions will be at a minimum. If you’re able to, try and talk one-on-one so that they aren’t overwhelmed with multiple people talking. It might take a little bit longer at times to string together conversations and the like, but we’ll talk a bit more about that in our next point. As you may have guessed, patience is going to be a critical part of proper communication with any individual struggling with dementia. Give them the time that they need to properly articulate their thoughts and get comfortable with the situation. Depending on the severity of their dementia and the conversation that is being had, it could take time to process everything. By being patient with them, you are more likely to ensure that they are comfortable with you and the conversation that is being had. 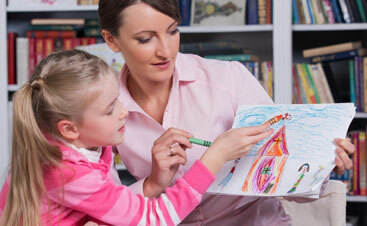 It also allows for them to have plenty of time to fully determine what it is that they’d like to say. This point touches a little bit on both of the comments that we’ve made earlier. Minimal distractions and patience help ensure that any individual struggling with dementia can focus on the conversation at hand. That being said, you want to make sure that you take the time to speak clearly and concisely. This will make it much easier for them to process the words that you’re staying and understand what is being said. Aside from that, take your time while talking. It has been shown that communicating slower can help provide dementia patients with a little bit more clarity as they process the message. The distractions that we touched on earlier are one of the major struggles that dementia patients have when communicating. Even when you’re able to communicate in a space where distractions will be minimal, you want to make sure that you’re maintaining eye contact with them. Eye contact helps lock a person into the moment. When having a conversation, this is so important. At times, it’s eye contact that can also help the individual get comfortable and relax a bit. Conversations can get out of hand easily — they’re fluid. When you’re conversing with someone that has dementia, it’s best to focus on one point at a time. Whether that means you’re only asking one question and allowing them to answer, or you’re focusing on one topic, it’s best to ensure the conversation has some fluidity. This could take some time to get used to, especially if you are someone whose thoughts jump quickly. As difficult as it may be, this is one of the most beneficial things that you can do when communicating with a dementia patient. If you have a loved one that is struggling with dementia, the team at Evergreen Home Health Care can help. 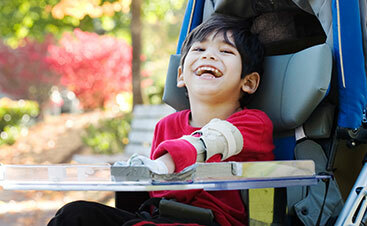 Our team has been dedicated to providing individuals with the quality care that they need to live their best life. 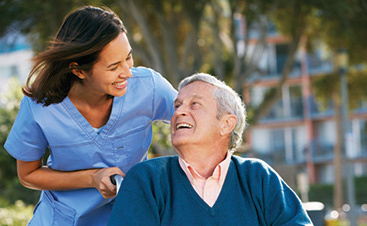 Learn more about our team and the at home care services that we offer to the Denver area. Whether you have questions regarding our services or would like to get your home health care services booked, contact our team. We’d be more than happy to get you taken care of.